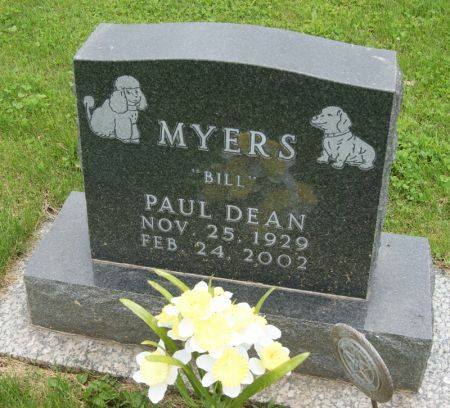 Paul Dean Myers, son of Paul Myers and Geraldine Hays, was born Nov. 25, 1929 in Taylor Co., Iowa and died Feb. 24, 2002 near Blockton, Taylor Co., Iowa. Obituary available Taylor County, Iowa gen web site. Searching for PAUL DEAN "BILL" MYERS in Taylor County Iowa?